Fits only 6 lug pickups 1989-2004. Will not fit 5 lug 2WD pickups. 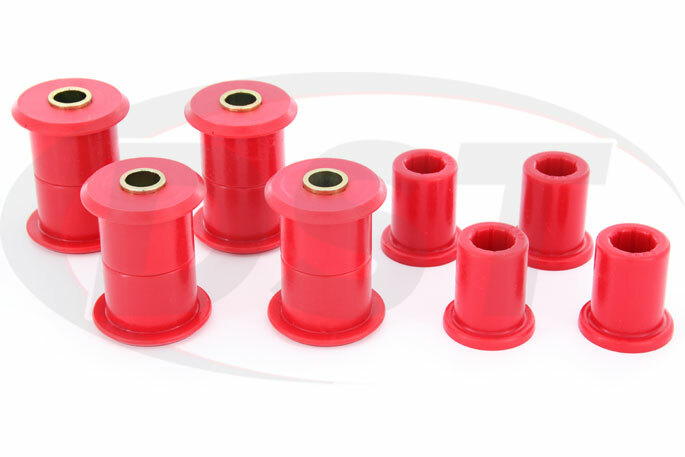 These Polyurethane Rear Leaf Spring Bushings from Energy Suspension will replace the worn rubber bushings on the 1998-2004 Tacoma, 1989-1995 Toyota 4WD Pickup, and 1989 4Runner. 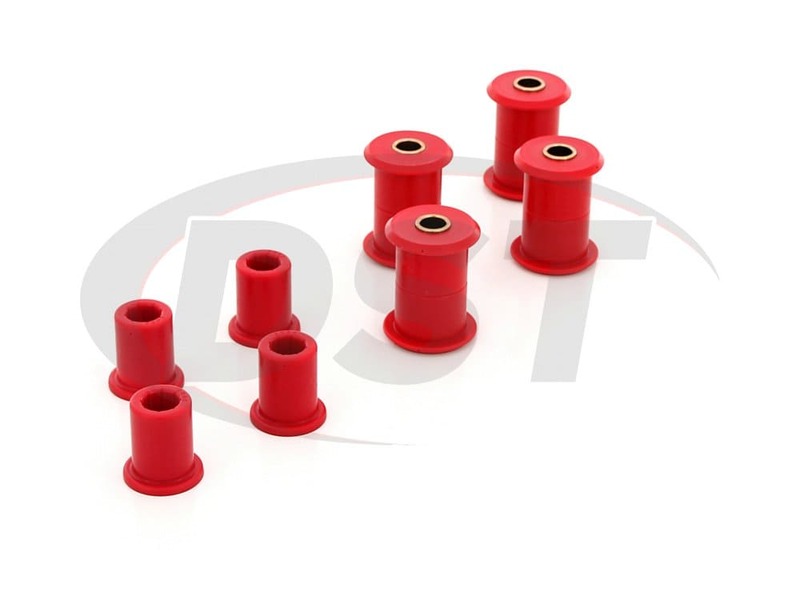 If you are experiencing rear steering or scrubbing on your rear tires then the cause is likely worn rear leaf spring bushings and this kit will replace the original bushings with tougher polyurethane bushings. The original bushings that connect your Tacoma's rear leaf springs to the frame are made of rubber, and while rubber does a good job of absorbing vibration from the road it isn't very durable. The flexing and stretching that those bushings go through will change their shape and allow the rear leaf springs to move. Since the rear leaf springs help hold the rear axle perpendicular to the frame, if the bushings holding the springs in place are hollowed out then the axle could move, changing the alignment of your rear axle and wheels. 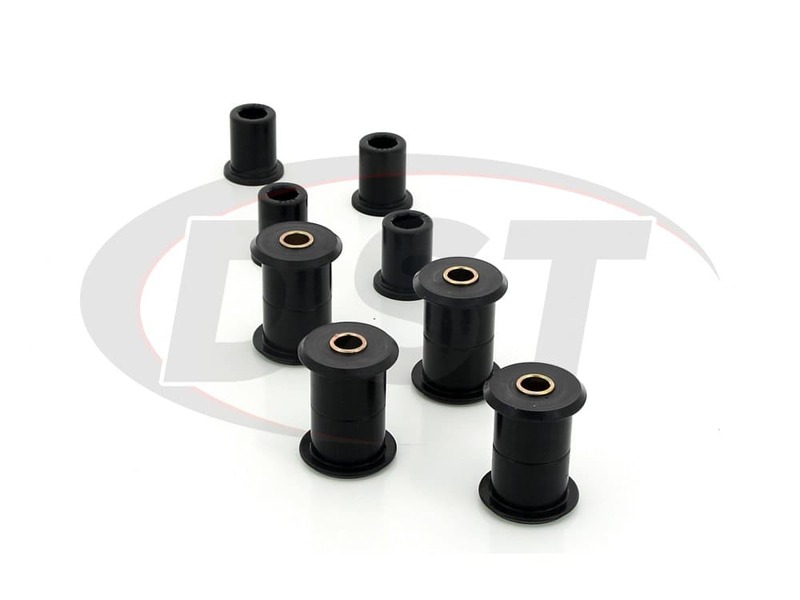 You could replace those original rubber bushings with more rubber, but what if there was a more durable option that would last longer and hold the leaf springs in place better than new rubber bushings? 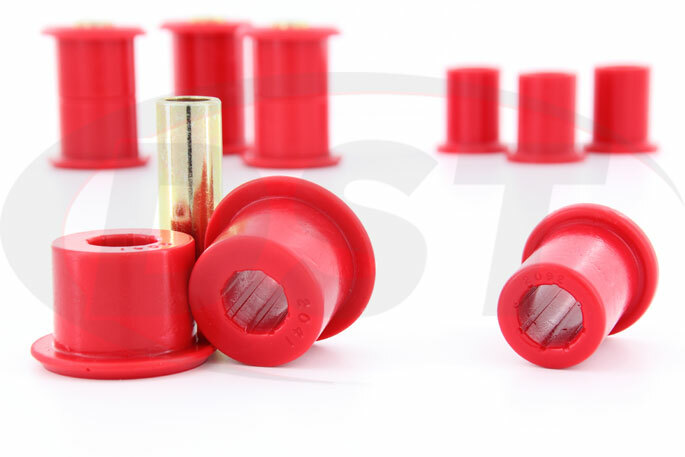 Energy Suspension's Polyurethane Rear Leaf Spring Bushings do not flex and bend like rubber and will hold the rear leaf springs, and the rear axle, in place through extreme suspension travel. If you're using your Tacoma to spread range cubes in the pasture or wheeling around some central Texas trails on the weekend then your rear leaf spring bushings are taking a beating and the original rubber might not be up to the task. Polyurethane has a much longer lifespan than rubber and will brush off elements like road salt, coastal climate, and heat which can break rubber down. 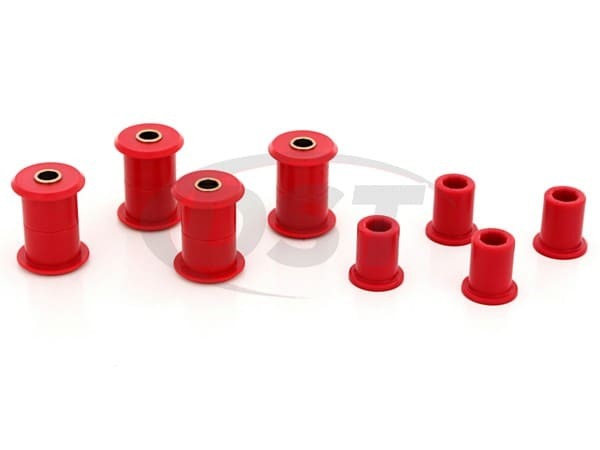 Even though poly bushings are firmer than rubber you get much more in the way of consistent rear axle alignment than you lose in vibration reduction. 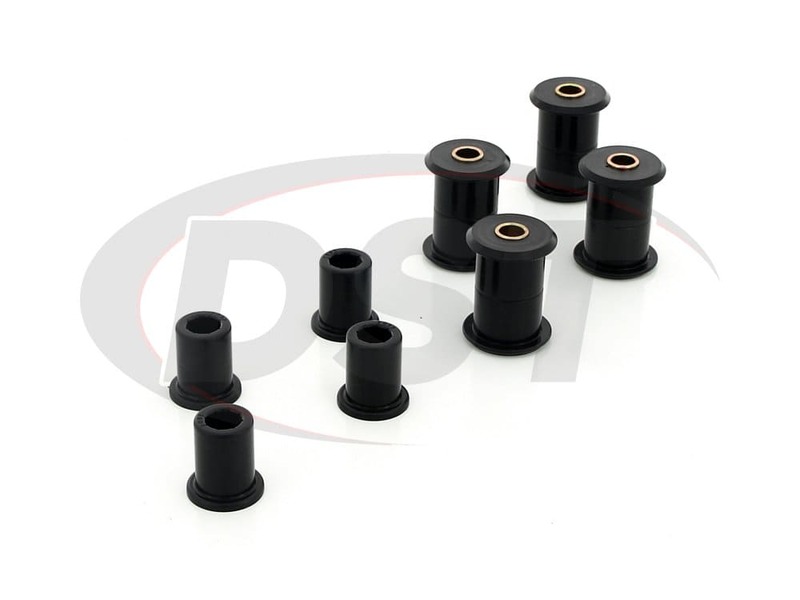 These bushings are also covered by Suspension.com's exclusive lifetime warranty so you can expect them to last the life of your Toyota. starstarstarstarstar" Review 2 Years awesome!! " 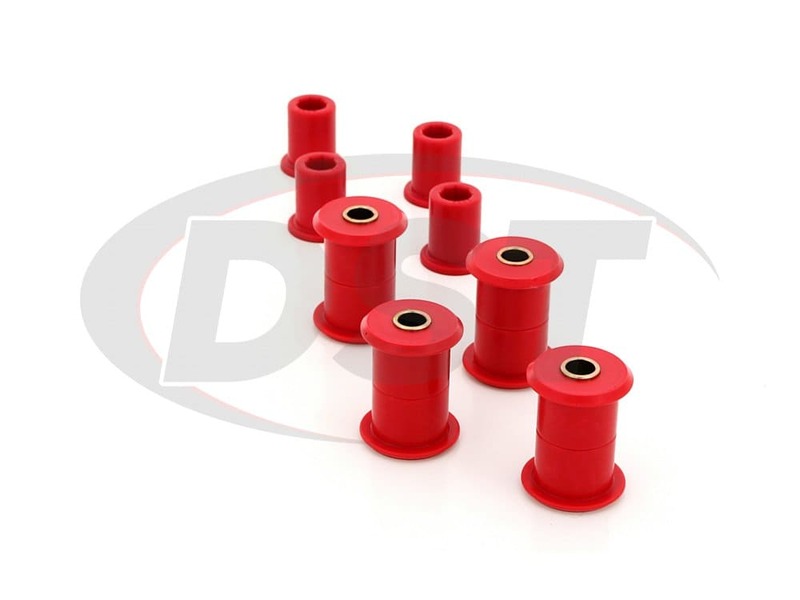 As always your Urethane bushings are superior quality.\nThis truck is my daily driver constantly overloaded and still quite and 0 lateral movement.\nWould recommend these to anyone. 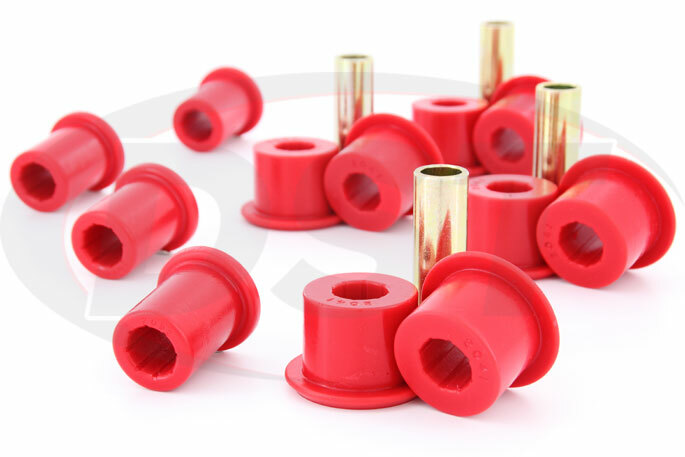 Great bushings! I would put these in a new truck instead of the stock. Far more durable. Will the 8.2108 fit on a 01 Tacoma 4x4? 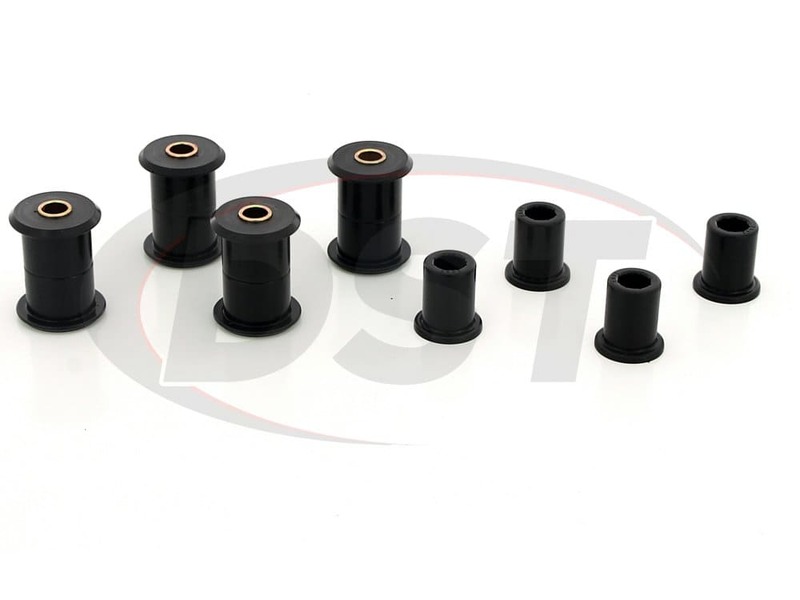 The 8.2108 will fit as an OE stock replacement leaf spring bushing kit for the 01 Tacoma 4x4, with the 6 lug wheels, this will not fit the 5 lug pickups. Does this kit do all of both springs? Yes part number 8.2108 will do both sides. Will part number 8.2108 fit my 1999 Toyota Tacoma 2.4l 5 lug? No, part number 8.2108 is for the 6 lug only.